I have been involved with Asha for Education since 2006. I was part of multiple Asha chapters (Atlanta, Irvine and Bangalore) as I moved around the world. I have stewarded close to 20 projects over the years, but spending more time with Asha projects was on my bucket list for a long time. I could make that happen between mid-September 2016 and March 2017. I travelled across India to make the traveler in me happy, and during those trails through remote corners of India, I could accommodate 28 Asha project site visits. I thoroughly enjoyed the time spent in different projects without the usual rush. My trail looks like this with concentration on Uttar Pradesh (“UP”) since the main Asha India chapters operate from UP and there are multiple projects that have been supported long-term in these areas. I spent almost a week at some projects, such as Asha Darshan project in Assam and Apna Ghar project in Kanpur and Mukti in Sundarbans. During these visits I also met great personalities – six Asha Fellows and many non profit leaders who work every day to make the lives of others better. I learned something from each project. I learned something from every project. Before I moved back to India in 2013, I used to work on the fundraising and administrative aspects of Asha. While reviewing project proposals, I would go deep into the numbers and goals of the NGO. However, as I got close to the beneficiaries of Asha projects, I now understand the tough choices our grass root partners need to make every day. When funds are limited, it is really difficult for the project partners to choose between providing food for half-fed kids and paying a decent salary to a teacher who spends most of her life for the benefit the students. I also learned why sometimes project partners tend to prefer quantity over quality. You cannot give modern day education tools to kids from one village when the ones in the next village do not even have books. From Asha Fellows, I learned how their passion and mental strength motivated them to continue in their journey even with tons of hurdles. I felt each Asha Fellow started their journey in a different way and slowly they reached a place where they contribute towards a cause they are deeply passionate about. And they do have different interests – one has interest in solving water problems in Rajasthan, one in gender equality, one in eradicating corruption from schools and some in spreading education across villages. From teachers, I learned that, after a point, students become their family. Most Asha schools cannot afford a good pay-scale for the teachers but that does not hamper their dedication. Most teachers hail from the same village as their students and they are happy when their students take the next step or get a scholarship. I have met some teachers who have been teaching for 20+ years and who did not stop teaching even when Asha for Education funding reduced in half. We should make an honest attempt to prioritize teachers’ salaries in our budgets. From the kids, I learned why we should continue doing what we are doing. Every Asha volunteer should visit a project of their choice and spend a week. The smiles of the children will be all the motivation they need to go to meetings and present proposals for years to come. I also learned that extra-curricular activities are sometimes equally important as finishing the syllabus as it keeps their energy level high and enhances their sense of accomplishment. Specifically, I was amazed by the yoga skills in the little tribal village of Naugarh, UP and the dancing talents of students in Asha Darshan schools, Assam. I understood the level of challenges some of our projects face each day. In some areas, children and teachers get home after school by 4 pm in order to avoid being attacked by elephants. In some schools, lack of connectivity and negligence by government authorities have caused students’ families to lose their jobs. There are places that seem connected distance-wise but its takes a full day to get there from any city because of poor roads. There are places where 12-18 hours of power cuts daily is a normal scenario. Above all, I learned how to be compassionate, how to be positive even while dealing with tragic circumstances and how to hope for a better future even when the odds are against you. I learned how to listen to the grass-root workers with patience, understand their side of story and then judge the quality of education. I realized that every improvement is gradual and that comparison should be fair based on the circumstances. When we look at different items on a project proposal or different project proposals, there is a usually a relevant story behind each and Asha chapters should strive to understand that story either from our project partners or by direct visits. Where can we help more? 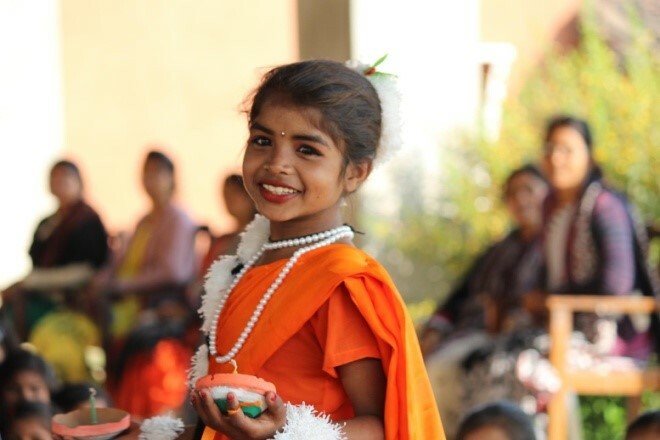 Asha for Education is doing some seriously good work in remote corners of India. There is no doubt about that. But it takes a full life of travel to understand the community, the culture and the challenges in different parts of India. I think every Asha steward should work on understanding those aspects of his or her project. We should visit the project, and not just for one day to take pictures and have some quick discussions. We should reserve 4-5 days for a visit and should come prepared with some ice-breaker activities. The kids and locals only open-up after a few days. While reviewing proposals, Asha chapters should maintain a balance between grass-root involvement and strength-weakness-opportunities-threats analysis. A “same size fits all” approach does not work. Technology should only be involved to help the teachers and students when they are ready for it. Respecting the teachers, having discussions with them and listening to their suggestions will go a long way. Many challenges are local by nature. The working model of Tami lNadu will not work in UP. But there may be some methods that can be replicated across our projects with local support. Good infrastructure always helps the NGO attract other funding partners through corporate-social-responsibility initiatives and government grants. 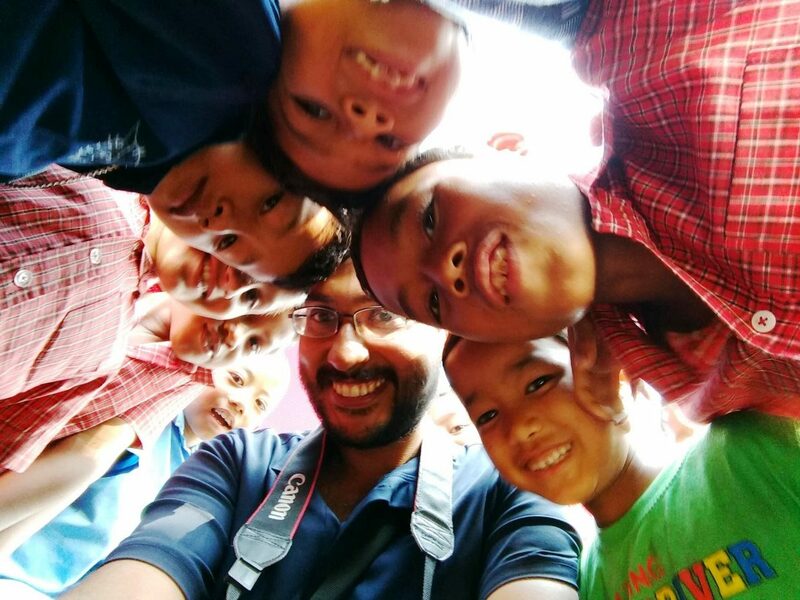 For stewards, Asha is a GREAT PLATFORM to meet awesome people dedicating their lives to grass-root work in India. Projects mean everything to many project partners. Every steward should realize that the 1-2 hours we spend talking with them each month will build a better future for those project partners on the ground. So, as a steward, the goal should be to be the bridge between the partner and the chapter, reducing communication gaps and understanding the project to the core. At the end of day, we are bringing hopes and smiles to the most innocent part of society. The moment we educate a child, imparting skills that make them employable becomes our responsibility. India as a country can have a glorious future if we make that the priority for every child. No child should be left behind! I live in the US and would like to get involved in your organization I am Christian and believe that everything happens according to God’s plan. Excellent note, Padmanava. Thank you. I whole heartedly agree with you that project stewards should visit and spend time with partners. It has had a tremendous impact on my life and helped me see the world differently. I smiled when you said “that will carry you through many meetings and project proposals.” I totally agree!